looking to split this set w/ someone!! I’m only keeping the top row, the bottom row is available for ¥2500 + shipping. I ship internationally (low rates)!! PM me if you’re interested!! I’m actually ok with either top or bottom row yurio so lmk if u wanna swap!! looking to split this ver. of yurio from amiami. pm if interested!! yuri!!! 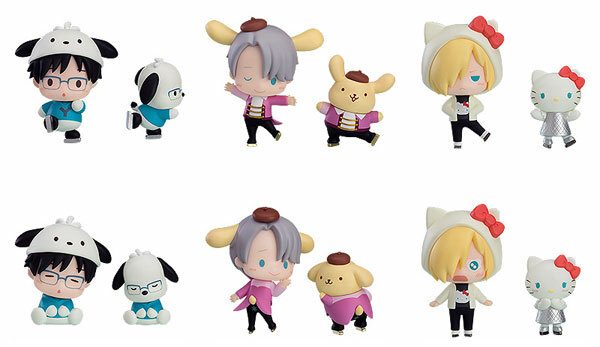 on ice x sanrio trading figure?